Common from Texas westward to Southern California, the Cactus Wren is truly an icon of the desert southwest. 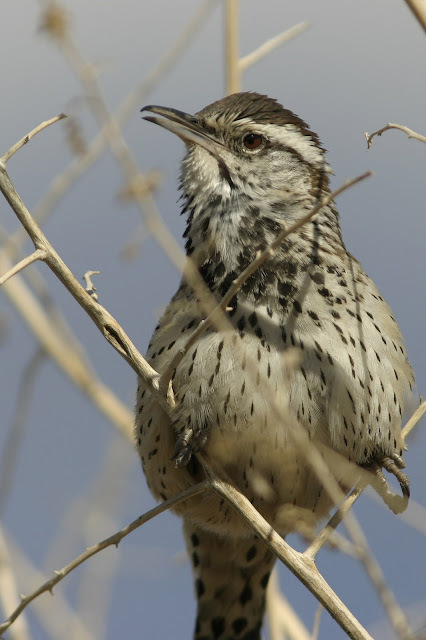 Perhaps it doesn't rival the Roadrunner, tumbleweeds (which are actually invasive weeds from Russia), or rattlesnakes, but once you hear a Cactus Wren's buzzy call, it will be immediately familiar. 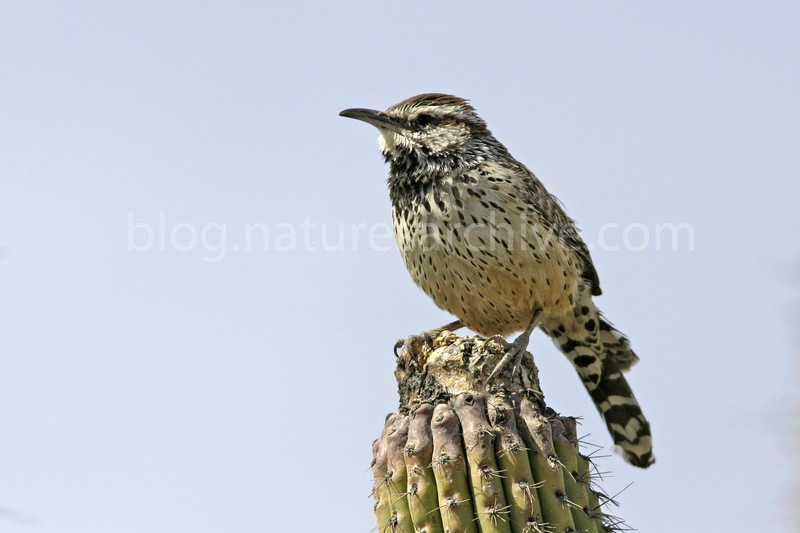 Many movie Westerns have Cactus Wrens subtly calling in the background. And Arizona has even made it the State Bird. This Cactus Wren was kind enough to pose on the tip of a Saguaro - perfect! Cactus wrens are very unique as compared to other wrens. They are much larger and much more gregarious. They get their name form the fact that they usually build their nest within the fork of a cactus - including saguaros and chollas.